Now, you and your surgeon have options. 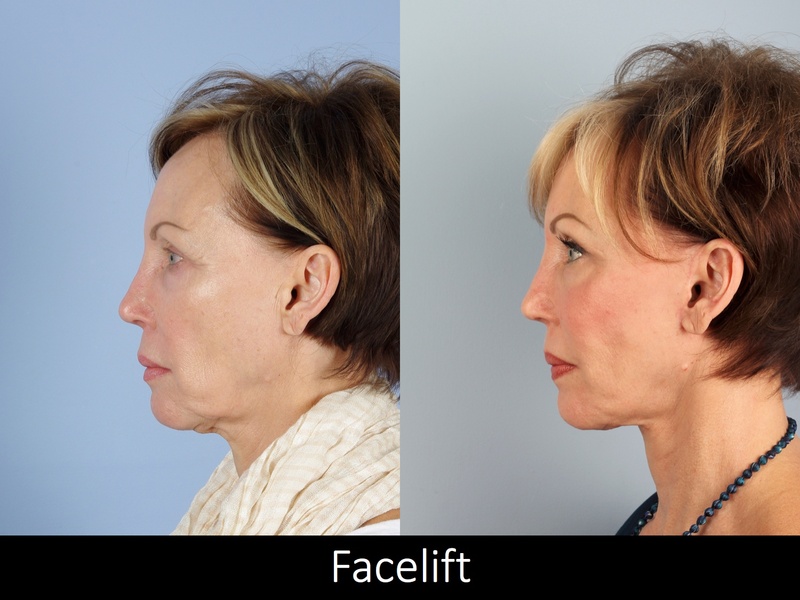 There are different types of facelifts, each one designed to address different areas of the face or neck and to produce varying degrees of lift. This is great news, because we can custom-tailor facelift surgery to match your aesthetic goals. For example, would a deep plane facelift be the best option for you? Typically, a deep plane facelift is indicated if you have moderate to severe jowling along the jawline or if you have moderate to severe fullness and/or banding in the neck area. 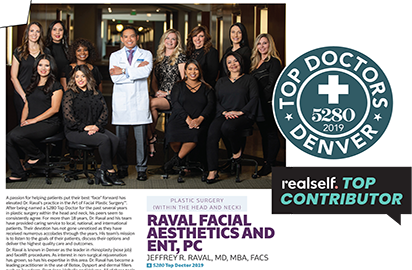 Dr. Jeffrey Raval, MD, MBA, FACS believes that, for many patients, the deep plane facelift is indeed the best option, because the results are better. In a deep plane facelift. Dr. Raval raises the skin, then pulls deeper muscles upward and re-suspends them. He says that every surgeon performs the details a little differently. The surgery itself doesn’t necessarily take longer than an SMAS facelift, and there is no more downtime required. However, patients can expect their swelling to last a little longer, due to the deeper surgery. The bottom line is that there are more advantages with a deep plane facelift. On the other hand, for patients with only slight skin laxity, Dr. Raval still recommends an SMAS procedure. SMAS stands for Superficial Muscle Aponeurotic System. This surgery addresses more advanced signs of aging in the lower face and neck, so it is usually most appropriate for older patients – those in their 50s or older. A true mini-lift is generally best for younger patients – men and women in their 40s or early 50s who want (and need) just a bit of “pick-me-up” in the jowl and jawline area instead of more noticeable results. This is a shorter surgery with less recovery time. However, Dr. Raval says the deep plane technique is so great, he can even use it in conjunction with a mini-facelift. By going further below the surface, he can suspend deeper tissue, enhancing the final result. Regardless of the surgical technique, Dr. Raval’s goal is always to produce entirely natural looking results. With a deep plane facelift, you may expect to look as much as 10-15 years younger. Although your body (and face) will continue to age, you will continue to look that much younger than your years. Is a deep plane facelift the best option for me? All in all, says Dr. Raval, the deep plane facelift can be a real plus for certain patients looking for a more extensive type of facelift. As always, though, it takes a personal consultation to determine what would be best for your own face. We are all different, in age as well as visible aging, in facial structure, and skin type. Plus, each patient has a certain personal goal in mind. Discussing your goals and medical history with Dr. Raval, and giving him a chance to examine your face in person, enables the two of you to formulate a surgical plan that is just right for you.